IT IS HARD TO explain to friends who are not Dodger fans or maybe not Dodger fans from Texas who attended St. Mark’s School of Texas in the late 1960s, the emotional whipsaw of learning recently that Chris Kershaw, class of `67, had died — and then learning that, yes, he was the father of current Dodger ace Clayton Kershaw. You’d think I would have known this. 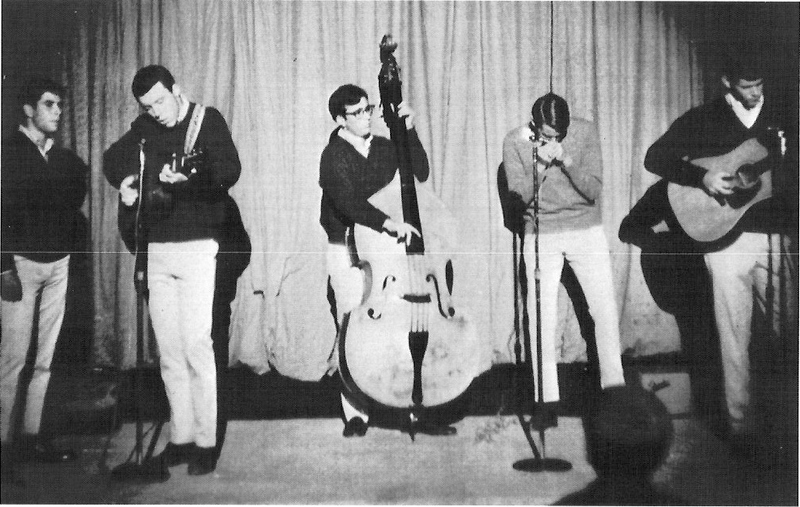 All those years ago when I was carrying Bob Dylan albums to school to share with other teenage troubadours, I formed a folk group at St. Mark’s with Chris, David Laney, Louis Blumberg and Richard Wincorn. We called ourselves The Bountymen, and our public performances probably could be counted on one hand. Chris, a class behind me, was the most talented, played multiple instruments and had a strong voice. Like Blumberg, who later played drums with the San Francisco Mime Troupe, Chris became a professional musician after college and made a living for a time in Dallas as a composer of jingles. I ended up in Los Angeles, eventually shed my allegiance to the Texas Rangers (see previous post) and became a fan of the local National League team so that I happened to notice when in 2008 a young left-hander from Highland Park High in Dallas, a first round draft pick, made his debut at the age of 20 with the Dodgers. His name was Clayton Kershaw. He had a phenomenal curve ball, was immediately compared to Sandy Koufax, the most famous Dodger hurler ever, and within three seasons won 21 games and the Cy Young Award. The last time I saw Chris was at some point in the 70s when he was writing and recording commercials. He told me he was trying to make it as a singer-songwriter, trying hard. He seemed driven, and I figured it might happen because he was so good. I lost touch with him after moving to California. Although I don’t remember Chris as an athlete at St. Mark’s, I think he might have tried out for the baseball team one year. Which is why when Clayton Kershaw came up with the Dodgers out of Highland Park, it did occur to me that Chris could be his father, given the facial resemblance. I asked my friends in Dallas who followed baseball if this could be the case, and no one knew. I tried to research it online and found nothing about Clayton’s father or family. I figured the name and face must be a coincidence or somebody at St. Mark’s surely would have known, even though Chris had gone missing from the alumni directory. As I attended games at Dodger Stadium with my own son and watched Clayton Kershaw become the Dodgers’ ace and All-Star, I took some satisfaction in knowing he was from Dallas but left it at that, dispensing with the notion that he was the son of one of the Bountymen. Then, a few months after moving back to Dallas this spring, late in April, I got an email from the St. Mark’s Alumni Office informing me that Chris had died. No cause of death was given. I looked in the Morning News and found a paid obit framed in strong religious language that mentioned Chris was survived by a wife and two daughters. In small print it also said he was survived by his only son, Clayton Edward Kershaw. FIRST I WAS shocked and saddened, then stunned to realize he was the father of Clayton Kershaw after all. Good lord. How did this happen? All of it. I ran into a member of the Class of `67 a week later who confirmed that Chris was his father but knew very little about the trajectory of Chris’s life or his relationship with Clayton, except to say that Chris had been through some hard times. Details were sketchy. He said Chris had not been in touch with many of his classmates for a long time, had disappeared from the radar. The obit in the Morning News also did not mention the cause of death. Clayton did take bereavement leave from the Dodgers to return to Dallas for Chris’s funeral. I regret that I was unable to attend the service, but I am beset now by questions about what happened to Chris. If anyone who knew him at St. Mark’s or later in his life can share any thoughts or recollections about him, I would love to hear from them. The Bountymen: Richard Wincorn, the author, Louis Blumberg, Chris Kershaw, David Laney. 1966. This entry was posted in Uncategorized and tagged Chris Kershaw, Clayton Kershaw, St. Mark's School of Texas. Bookmark the permalink. WoW! What a story. Some things finally make sense. Chris was an amazingly talented writer and musician that composed much of the music you still hear today in themes for TV and Radio shows as well as Jingles around the world. In addition, a really great guy with a quick wit and lots of heart. His spirit still lives. Very interesting; please feel free to line out some examples of the jingles and other music Christopher Kershaw wrote…. Others who worked in the business in Dallas could provide that information, but I believe he composed the station I.D.s for soft rock giant KOST-FM in Southern California. This song, “What Child Is This”, is also an arrangement by Chris. The Vocal Majority included it on our 1999 album, “White Christmas”.